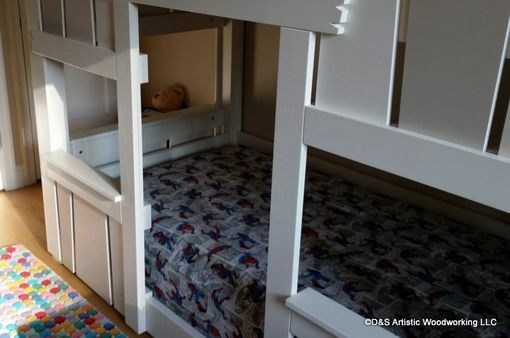 This children's bunk bed is a 2 story house, complete with windows, a roof, a door and a ladder to the second floor! 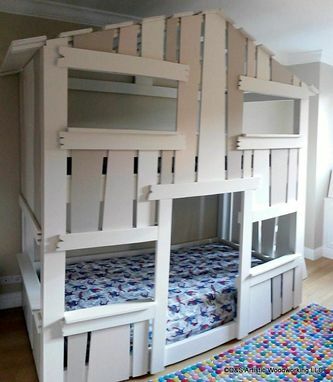 It is made with a hardwood frame and MDF slats, painted in cabinet grade paints to withstand abuse. 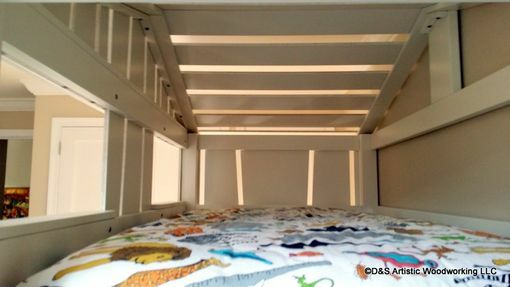 The roof has an opening that will allow the child to look out, but which is high enough on the sides to provide protection from falling. 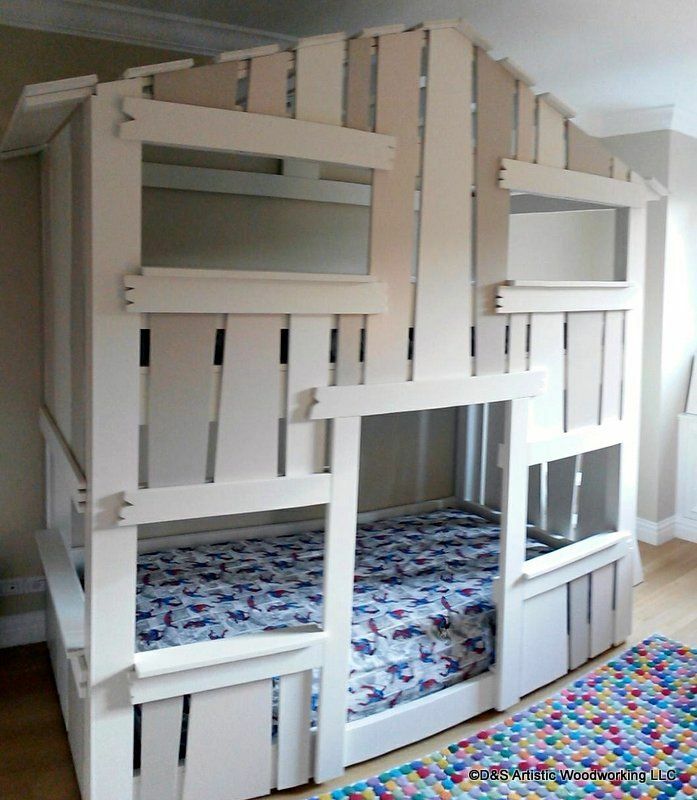 We include sprung slats under the mattresses for comfort. 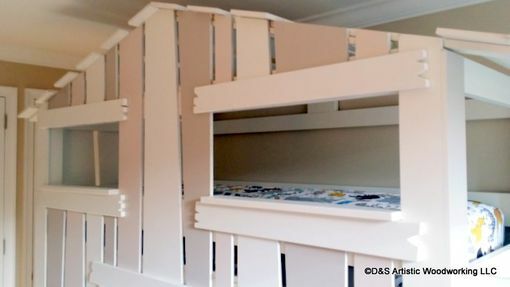 The bed can be customized in a number of ways, with different colors, window configurations and slats.